Future USS Billings; Fincantieri Marinette Marine Shipyard, Marinette, WI. The future USS Billings has a big day on Saturday, July 1, 2017, with its christening and launch ceremony at its shipyard in Marinette, Wisconsin. It will be the first ship commissioned by the U.S. Navy to have been named for Montana’s largest city. However, this combat ship will carry more than just the name of Billings. It will also contain something of a time capsule with mementos from its namesake city. The christening on July 1 will be handled by Sharla Tester, wife of Montana Democratic US Senator Jon Tester. The Secretary of the Navy extended the invitation to her nearly two years ago, a role most often filled by a woman. champagne against the bow just before the ship enters the water. The launch will be on her side into the Menominee River, a method most often used when the body of water does not allow the ship to be launched lengthwise. Torrisi says the launch will take about seven seconds. The future USS Billings is a new classification of ship, the Freedom Variant Littoral Combat Ship (LCS). It replaces three ship classes: frigates, patrol vessels, and mine countermeasures. Neil King is a director with Lockheed Martin responsible for future programs. He says the LCS is designed from the keel up to operate close to shore. 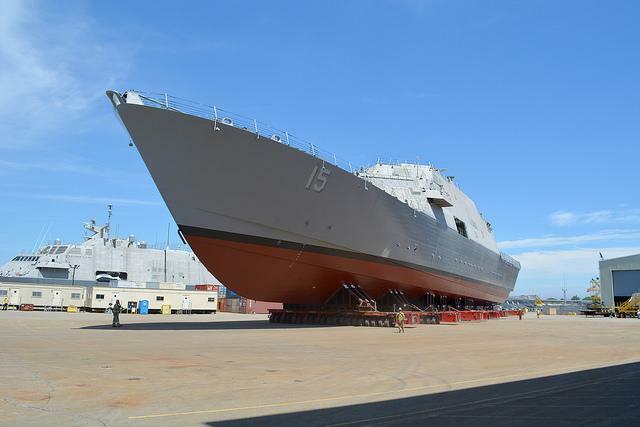 Lockheed Martin is the leader of the LCS team including shipbuilder Finantieri Marinette Marine and naval architect Gibbs & Cox. Although the future USS Billings will be launched July 1, it still has some 18 to 24 months of outfitting and testing before delivered to the U.S. Navy and commissioned. 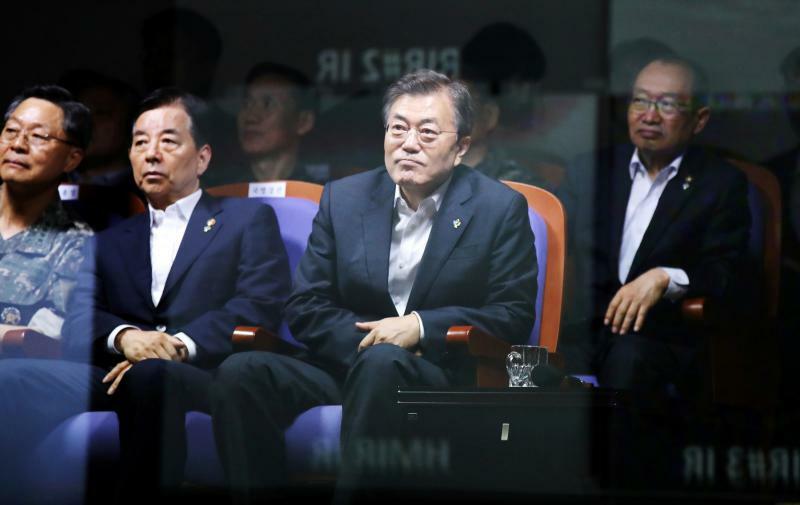 South Korean President Moon Jae-in watched his military test-fire a ballistic missile on Friday, after a string of North Korean missile tests were blamed for raising tensions on the Korean Peninsula. The military said the missile, a Hyunmoo-2 with a range of up to 800 kilometers (nearly 500 miles), hit its target accurately.